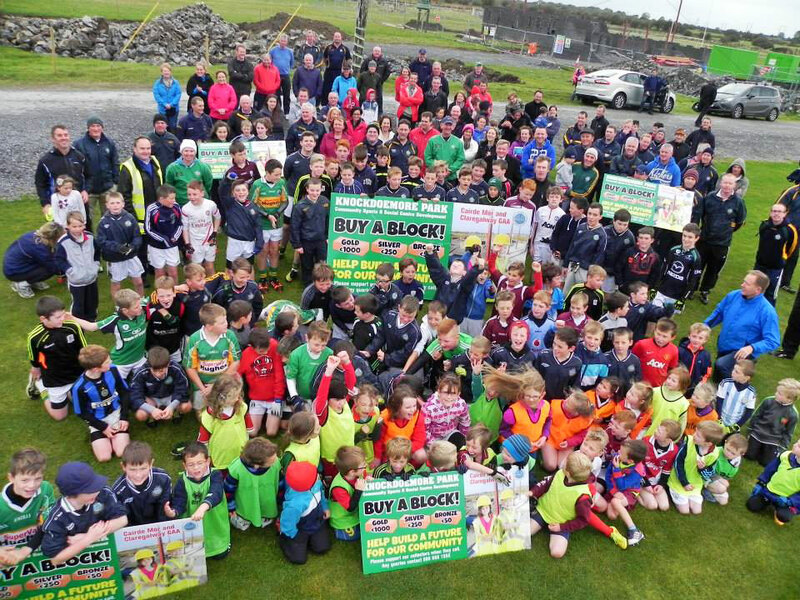 Many thanks to everyone who turned out for the Buy a Block launch on Sunday morning. Special thanks to Hector Ó hEochagáin for taking the time out of his busy schedule to come along. 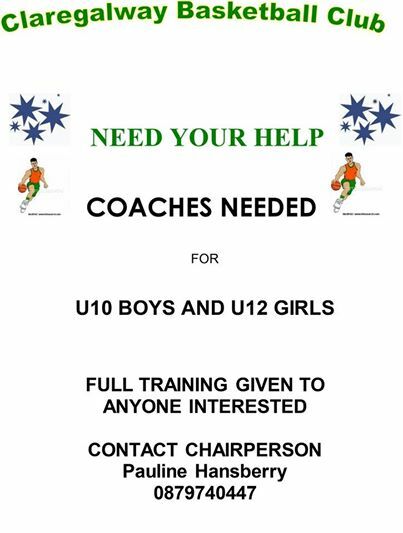 Claregalway GAA Club ask for your assistance in this campaign and appreciate it very much. Many thanks. Thanks also to Caoimhe Moran for helping take photos on the morning, well done. 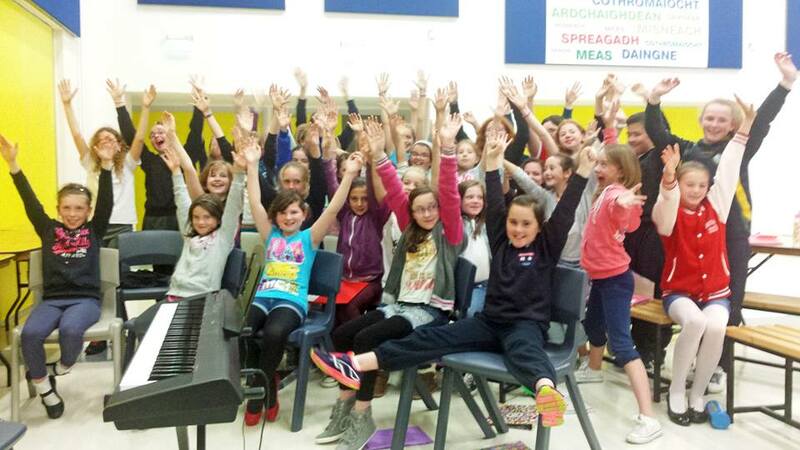 Pictured are the junior group singing at the 9 Arch Claregalway Musical Society’s ‘The Wizard of Oz’ rehearsals. Pictured is Maria McMahon with her husband David Killian, Gortatleva at the opening of DK Shoes today Friday 26th September in the Galway Shopping Centre, Galway. Best of luck to all involved. 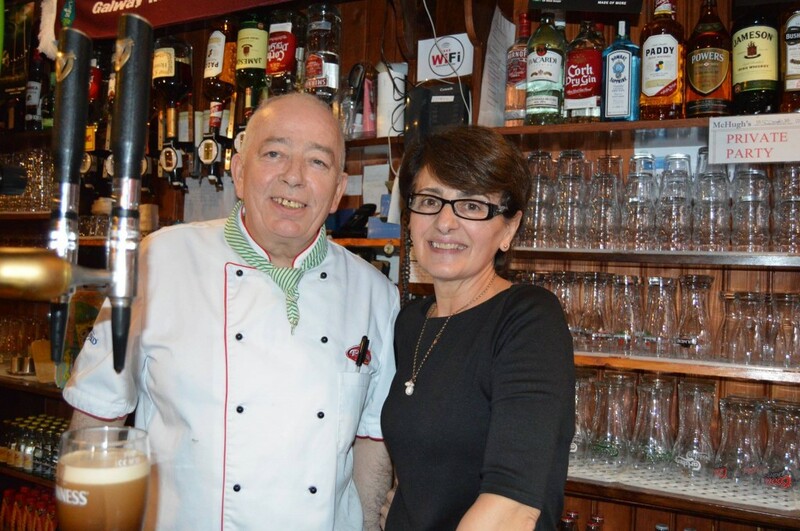 John and Marina Kelly of McHugh’s Pub & Restaurant, Castlegar—a place well worth checking out… sumptuous food and the best pint ever! 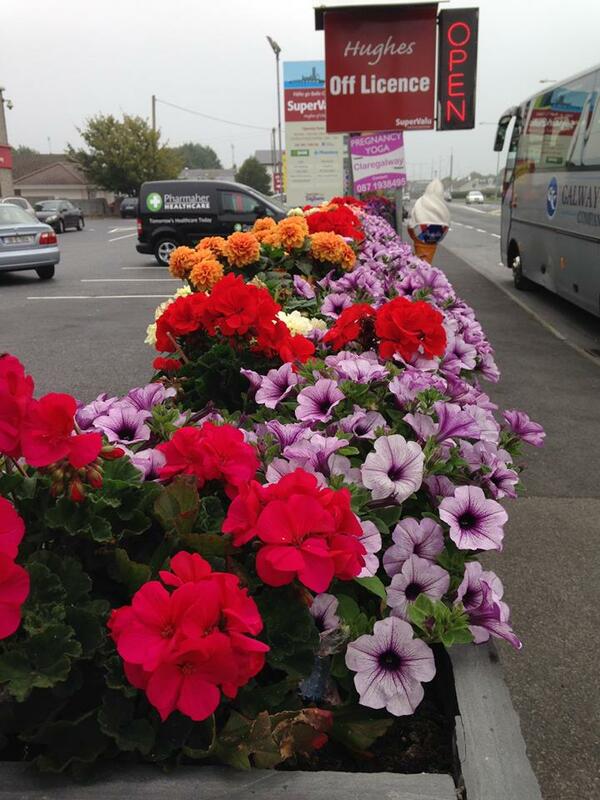 It’s great to see the swell of flowers still blooming outside Hughes SuperValu—definitely a sight to lift the spirits (pardon the pun)! 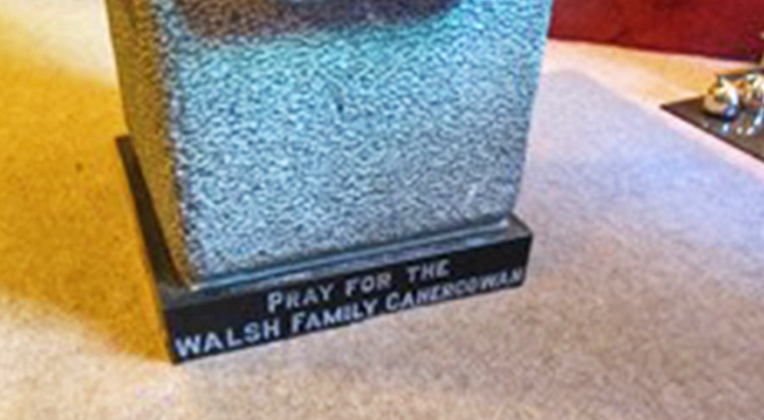 Congratulations to Patsy Walsh of Cahergowan on the Christening of her two newest Great Grandchildren, in the font which she and her husband Seán R.I.P. donated to the church in Claregalway almost forty years ago. The twin girls, Francesca and Allegra, join Lucas, Carmen, Aurora, Bram and Wolf in Patsy’s growing list of Great Grandchildren. May she live long to enjoy her growing legacy. 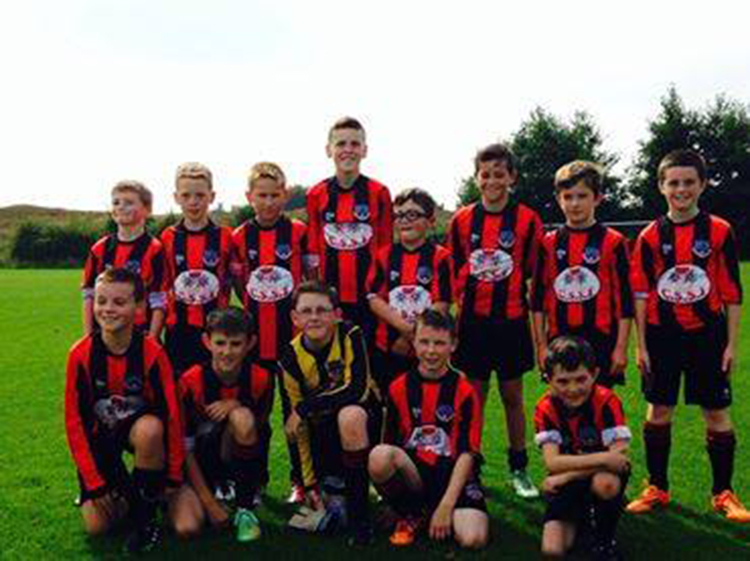 Great win by Cregmore Claregalway FC today over Salthill Devon FC in the U12 League. Final score 7–1. Well done lads! 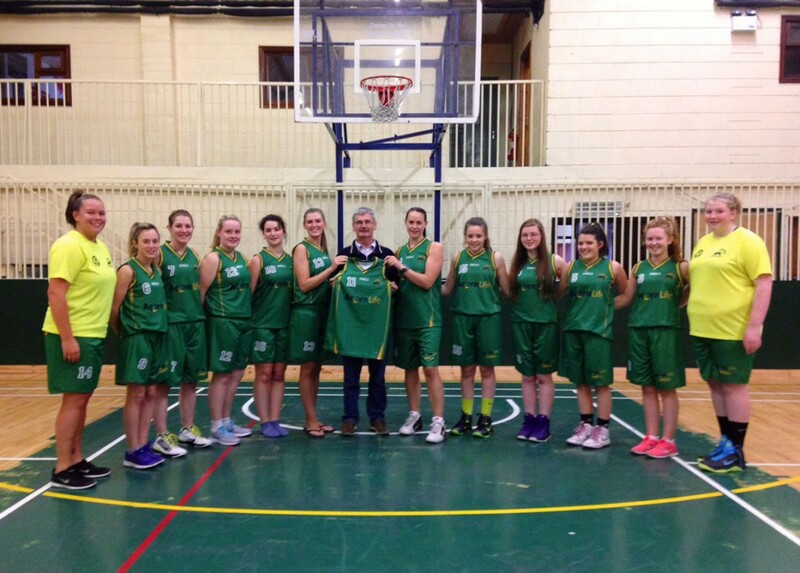 Claregalway Senior Ladies Basketballers get boost ahead of the new season with a new set of gear kindly Sponsored by Acorn Life. The Ladies will be known as Acorn Life Claregalway and are very appreciative of their new sponsor. The ladies have commenced training on Wednesdays from 7–8:30pm. Club Registration Night is to be held on September 22nd in Claregalway Community Centre from 6:30–8pm. Check out the Facebook page and the website for more news on this season’s timetable. 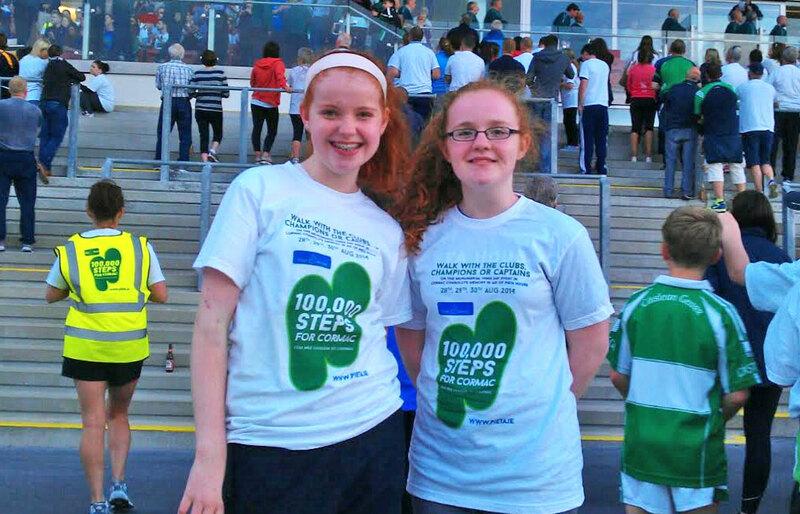 Pictured are Katie Feeney (Castlegar) and Caoimhe Keenan (Carnmore) taken on Saturday 30th August after they completed a 29.5 km walk in Cormac Connolly’s memory and in aid of Pieta House.